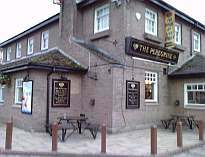 This new page features some of the Pubs and Bars in the West of Newcastle. The list will be added to in the coming months to provide an extensive choice for visitors to Newcastle. Next to Wylam train station. Open daily Monday to Thursday 11am to 11pm, Friday & Saturday 11am - 12am, Sunday 12pm to 10.30pm. Camra pub of the year. 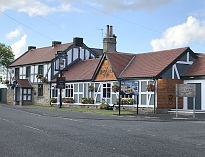 Awarded best pub in South West Northumberland. 14 handpulled real ales on tap. Live music. Outside Beer garden. Open daily Sunday to Thursday 11.30am to 11pm, Friday & Saturday 11.30am to 12am. Food served all day Monday to Sunday to 10pm. Gin & Cask festival 4th March 2019 - 28th April 2019. Quiz Night: Sunday & Wednesday night - general knowledge quiz with prizes. Free WiFi. Daytime Set menu Served Monday to Saturday from noon to 5pm with 1 course £4.79, 2 courses £6.79 or 3 courses £8.79. Evening set menu Monday - Friday from 5pm with 2 courses £8.79 or 3 courses £10.79. Sunday Lunch 1 course from £7.99, 2 courses £9.99 or 3 courses £11.99. Buffet menus £6.99, £7.99 or £8.99. Ember hour every Friday & Saturday from 8pm - 10pm with Jack Daniels & Pepsi for just £6.00. Get a free drink when you collect 10 reward stamps the Ember Inn's app. 2 cocktails for £7.00 from 5pm. Weekend Fizz Club with prosecco for £12.00, Freixenet Italian Sparkling Rose £15.00 or Moet & Chandon Imperial Champagne £30.00. Sunday Wine Club offers from 5pm with selected wines £10.00 a bottle. Open daily Sunday to Friday 12pm to 11pm, Saturday 12pm - 12am, Sunday 12pm - 10.30pm. Food served Monday - Saturday 12pm - 9pm, Sunday 12pm - 5pm. Children's menu. Sunday Roast served £7.95. Draughts on offer include Amstel, Fosters, Guinness, Kronenbourg 1664, John Smiths, Moretti, Timothy Taylors Landlord, Strongbow cider and Strongbow Dark Fruit cider. Monday steak night with 2 steaks and a bottle of wine or 4 bottles of Solfor £25.00. Tuesday burger night with 2 burgers for £10.00. Friday fish night with 2 fish & chips for £15.00. Fizz Friday with a bottle of Prosecco for £12.95. Outside Beer garden. Live music featured on a Friday. Buskers night on a Wednesday. Free Wifi. Live sports shown including Sky and BT football matches, cricket and rugby. Function room available for parties. 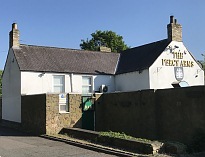 Large car park to the rear of the pub. Open Monday from 11am - 10pm, Tuesday 11am - 11.30pm, Wednesday & Thursday 11am - 11pm, Friday & Saturday 11am - 11.30pm, Sunday 11am - 9pm. Food served every day. Sunday Roast served - regular £7.95, large £9.45, OAP £5.75, kids £4.20. Outside Beer garden. Quiz night every week. Live music in function room on certain nights. Live Sky and BT football matches shown in the bar. Function room hire available. Free Wifi. Open Monday - Saturday from 11am - 11pm, Sunday 11am - 10.30pm. Food served every day from 11am - 9pm. Breakfast until 12pm. Monday - Friday all day - 2 pub classics for £9.99. Monday & Tuesday all day - 8oz rump steak from £5.00. Wednesday all day - Wing Wednesday 16 wings for £5.00. Thursday all day - buy one get one free offer on burgers. Friday all day - 25% off all challenge dishes. Saturday all day - bottle of wine £5.00 when you buy 2 steaks. Sunday - Sunday Roast - Regular £6.99 - £8.49, Extra large £8.49 - £9.99. Seniors menu - main and starter or dessert for £4.49 all day Monday - Friday. 2 Craft bottles or cans for £5.00 all day and every day. Gin O'Clock - gins £3.29 a glass. Double up on spirits for £1.50 extra. Fizz weekends - a bottle of prosecco £9.99 all day from Friday - Sunday. Craft favourites 2 for £5.00 all day and every day. Shots 3 for £5.00, Sourz 5 for £5.00, Bombs 2 for £5.00 all day and every day. Cocktails £3.99 a glass (£7.99 a pitcher) all day and every day. Quiz Night: Monday & Thursday. Sky Sports & Premiership Football shown. Function Room available for hire. Beer Garden. Open daily Monday - Tuesday 11am - 11pm, Wednesday 11am - 11.30pm, Thursday - Saturday 11am - 11pm, Sunday 11am - 10pm. Hungry Horse pub with food served all day & every day. 2 Main meal deal from Monday - Friday for £8.49, Sunday Roast menu served - 2 Sunday Roasts £10.00. Drink deals for £2.49. Match day drink specials. Wine Wednesday - selected bottles for £5.00. 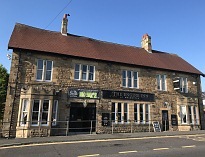 Daily Deals - Monday - Friday add a drink for £1.00 with any burger or grill, Golden Years menu with any 2 courses for £4.69, Tues - Big Plate specials £6.00, Wed - Curry & a drink £5.49. Thurs - free starter or dessert with any big plate special, Fri - buy one get one free on burgers, Sat - 2 courses for £9.00, Kids meals available. Outside drinking area. Car Parking at rear. Open daily Sunday - Thursday 11am - 11pm, Friday & Saturday 11am - 11.30pm. 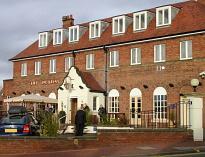 Greene King pub with food served all day & every day from 11am - 10pm. Lunch club from £6.99 Monday - Saturday until 5pm. Coffee and a cake for £2.99. Sunday Roast £9.59 (Children's roast £3.99). Seniors menu with 2 courses £5.99 or 3 courses £6.99. Monday - Saturday all day - add any drink to a burger for £1 extra. Thursday all day - steak Thursday with an 8oz Rump steak £8.00. Buy 5 pints and get one free. Drinks deals all day and every day with 2 selected bottles for £6.00 or 2 for £7.00, Double up any spirit for £1.50 extra, 2 bombs for £5.00, 3 shots for £5.00. Large outside drinking area. Car Parking at rear. Free Wifi. Open daily Monday - Thursday 11am - 11pm, Friday & Saturday 11am - 12am, Sunday 12pm - 10pm. 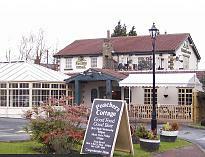 Traditional country pub in Callerton Village with food served all day & every day. Children's meals available. Sunday Lunch - big plate roast served. Sign up on website and save £5 on your next visit and receive loyalty awards. Outside drinking area. 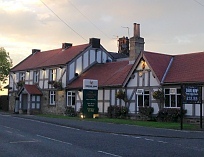 Large car park with car parking at front of pub. Quiz night Wednesday and Friday and Poker night every Monday. Karaoke night on a Saturday. Live bands are a regular feature every week - Click here for more future events. Events and Weddings catered for - Click here for more information. Open daily Monday - Saturday 7am - 11.30pm, Sunday 8am - 11pm. Big Lamp Brewery pub with food served all day & every day. 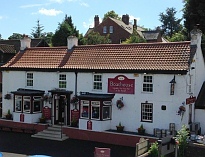 Oldest microbrewery in North East - est 1982. 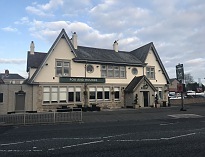 The pub serves the breweries own range of excellent real ales including Big Lamp bitter, Summerhill Stout, Blackout, Sunny Daze, Prince Bishop Ale, Keelman Brown, Ruby Red and other award winning Big Lamp ales . Restaurant is open Sunday - Friday noon - 9pm and Saturday noon - 9.30pm. Breakfasts are served from 7am - 10am Mon - Sat and 8am - 10am Sun. Lunchtime specials menu Monday - Friday from 12pm - 3pm for £5.95. Sunday Roast served £9.25 (child £5.50). Every Wednesday & Saturday from 5pm - 8.30pm any grill and a free drink for £8.50. Fish Friday with a free drink 12pm - 9pm for £8.95. The restaurant can also cater for private functions. Large Outside drinking area. Car Parking available. 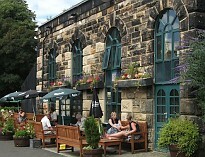 Accommodation in two buildings set in the grounds of the Keelman Public House and the Big lamp Brewery. Free WiFi. Quiz nights held on a Sunday from 8pm. Telephone: 0191 2671689 or 0191 2677766, Fax 0191 2677387. 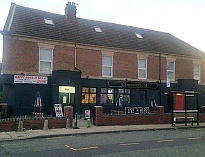 Local Newcastle pub, a short walk from the West Road/ General Hospital. Open every day from 11am to 11pm. Food served every day. Special offer for a pie and a pint. Happy hour from 11am - 6pm with John Smiths, Carling and Fosters £2.00 a pint. Live sports shown including premier league football. Outside seating to the front of the pub.